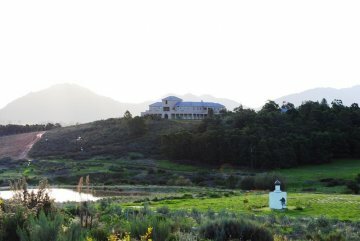 Located in the historic Land van Waveren Valley this monastery-style luxury self-catering farm house in Tulbagh is the ideally suited to accommodate a private group seeking luxury and comfort all under one roof. 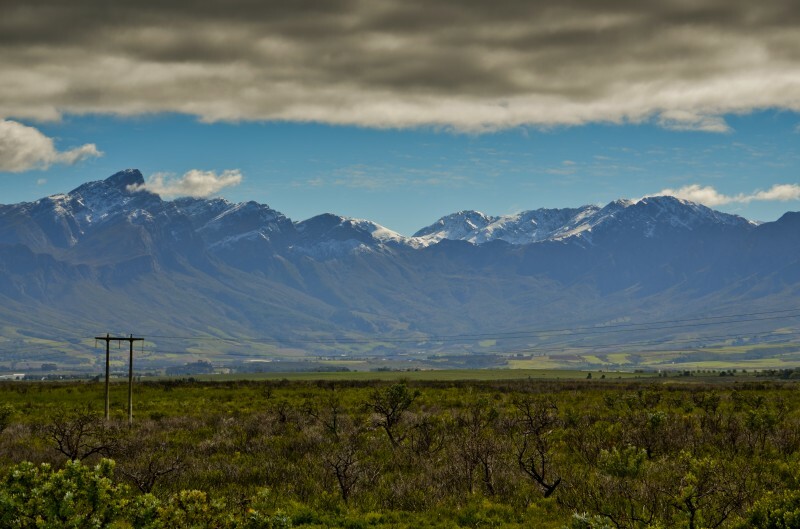 The guest house boasts spectacular 360-degree views of the surrounding Tulbagh Valley and mountains. Hidden away amongst the Renosterveld and Fynbos the farm house is exceptionally safe and private. This combination of natural splendour and exclusivity inevitably lends itself to create the perfect environment in which to relax and unwind with a large group of family or friends. 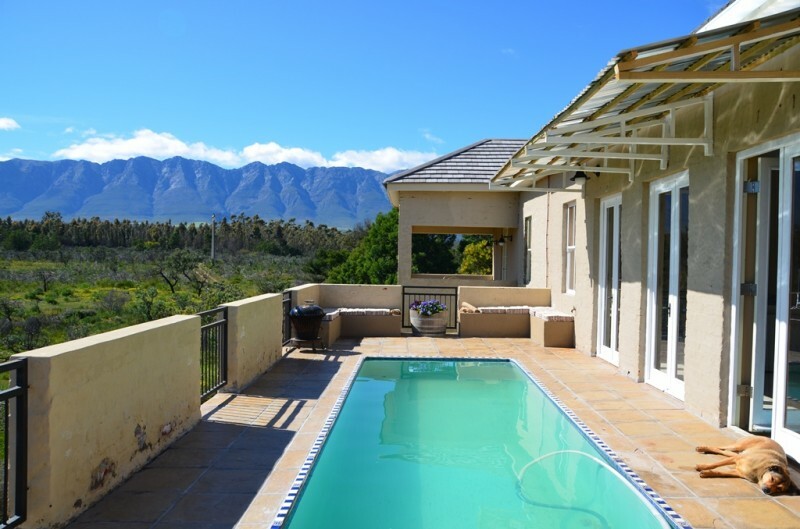 The Guinevere Guest Farm luxury self-catering farm house in Tulbagh is only a 1.5 hours’ drive from Cape Town and is the ultimate large private group farm accommodation and venue in the charming Cape Winelands region! 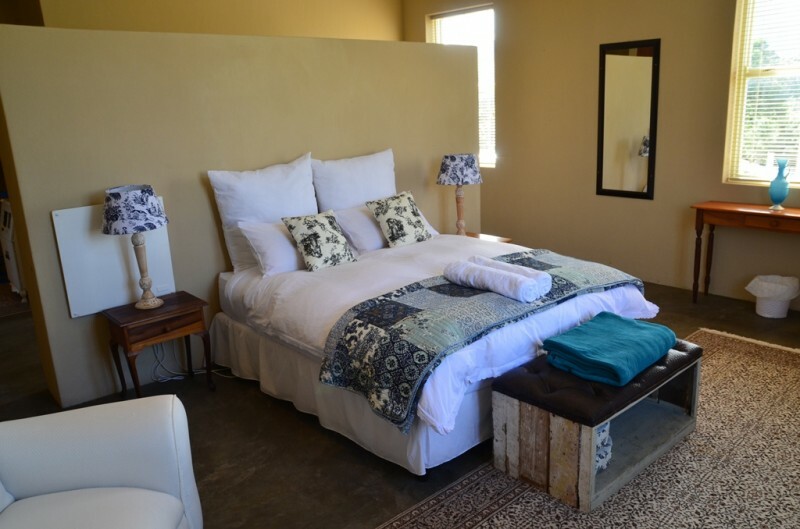 The entire farm house is to be rented on a self-catering basis for any private group accommodation or event. 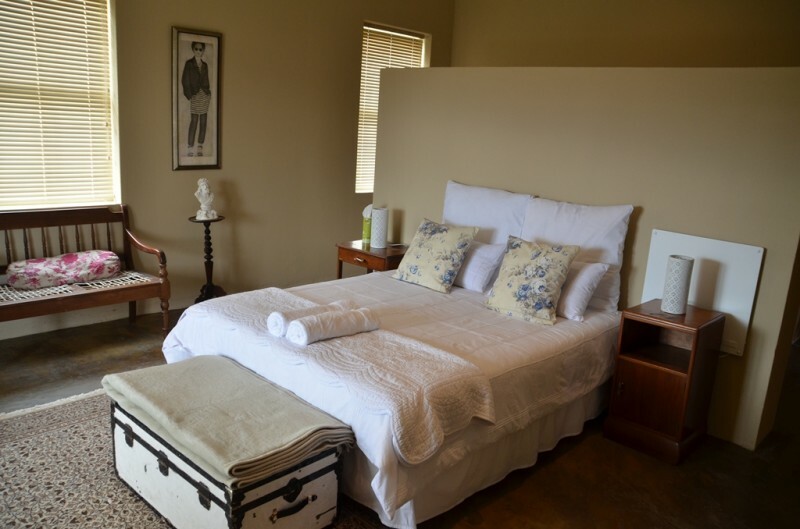 The guest house can sleep up to 32 people in 9 individually styled and comfortable bedrooms. 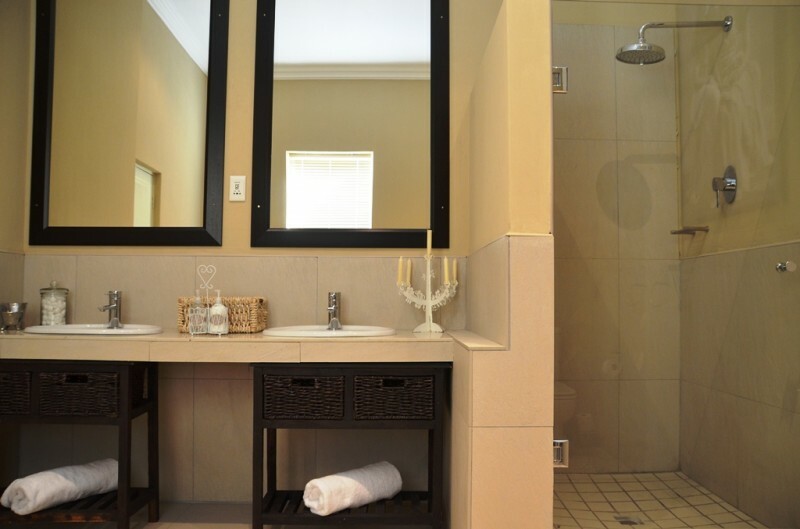 All of the spacious luxury bedrooms have an en-suite master bathroom and private balcony with table and chairs. The bedrooms are spacious, with wood finishes alongside quirky furniture, bright fabrics, and wonderful art and are all located on the 2nd level. Downstairs facilities include a large well-equipped kitchen for group catering with multiple prep areas, a cosy lounge with a fireplace and TV, a large dining hall with seating and tables for 32 people, another large fireplace and lounge, a courtyard with swinging daybeds, his/her toilets and a self-contained courtyard room with fireplace, bathroom and kitchenette. 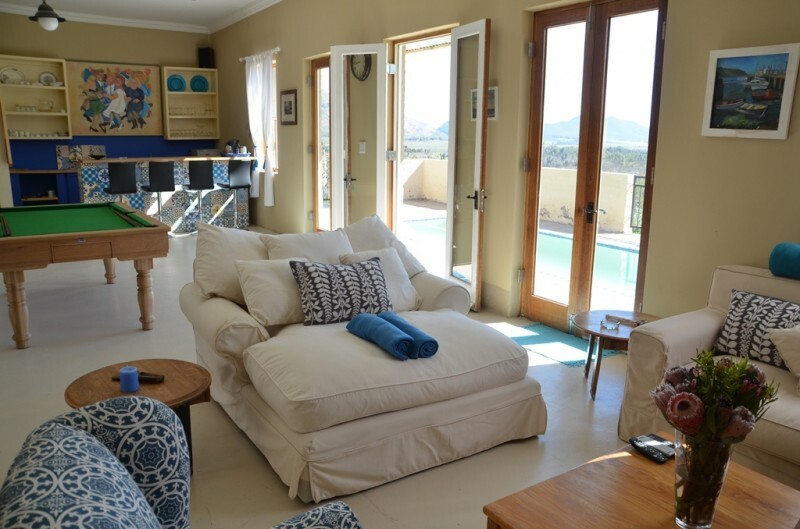 Upstairs facilities include an entertainment lounge with bar, pool table, flatscreen TV with DSTV, outdoor swimming pool with day loungers and a braai. All of the spacious luxury en-suite bedrooms have comfortable bedding, a desk with lamp and a TV with DVD player. Free WIFI access is available throughout the guest house. The guest house and farm is also available for weddings, bridal groups, workshops, bachelor’s/hen parties, conferences and any other type of private event seeking privacy and comfort. 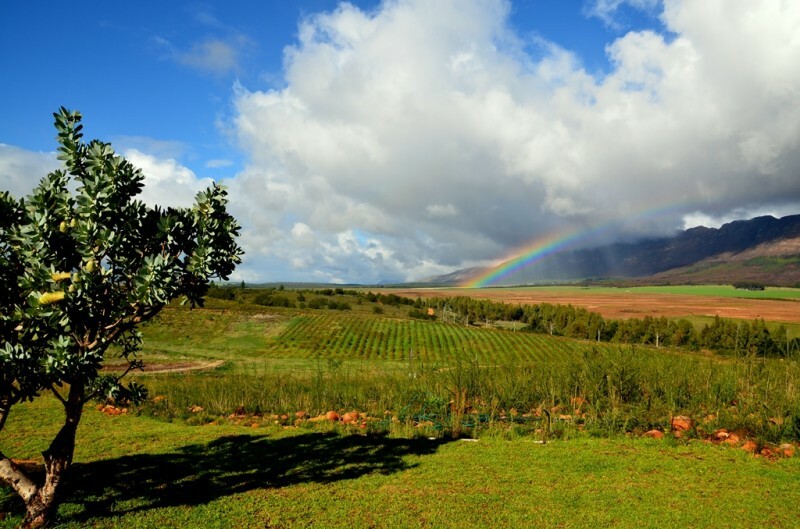 Guinevere Guest Farm is located on 95ha of private land and somewhat of a gem when it comes to natural Cape vegetation with a major portion of it covered by Renosterveld and Fynbos. 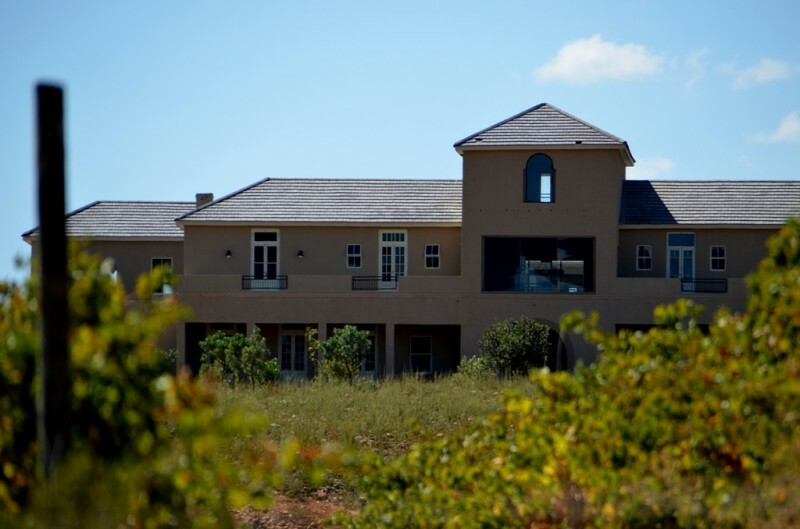 There is also a small private vineyard with boutique wine cellar, olive grove and pomegranate orchard. Large private groups of friends or family have exclusive use of the entire guest house and farm. The private group accommodation and venue is available for any other type of occasion or event. There is an abundance of wildflowers and bird life for the avid nature lover with numerous paths dissecting the farm, many cycle routes for the fit and a dam with jetty for summer swimming fun.